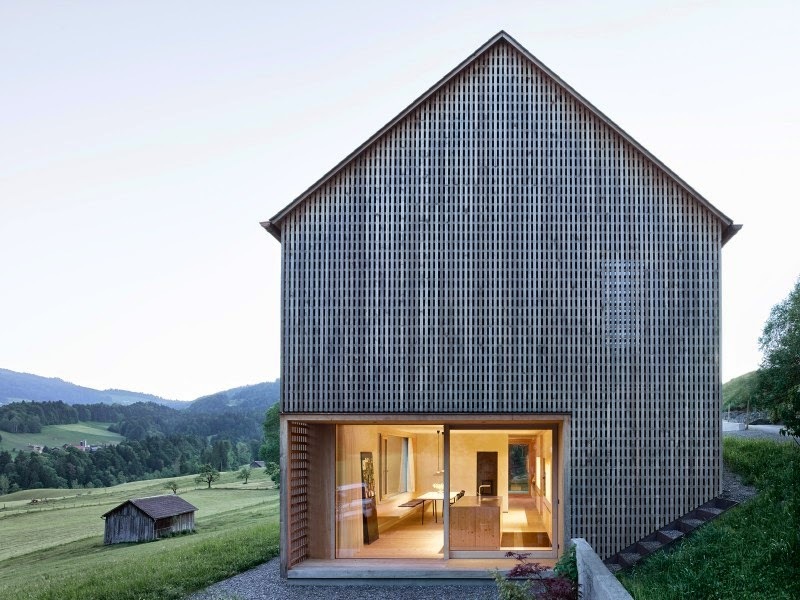 Bezau based Innauer‐Matt Architekten designed a wooden family house in Egg, in the Bregenz Forest region of western Austria, named after its clients. 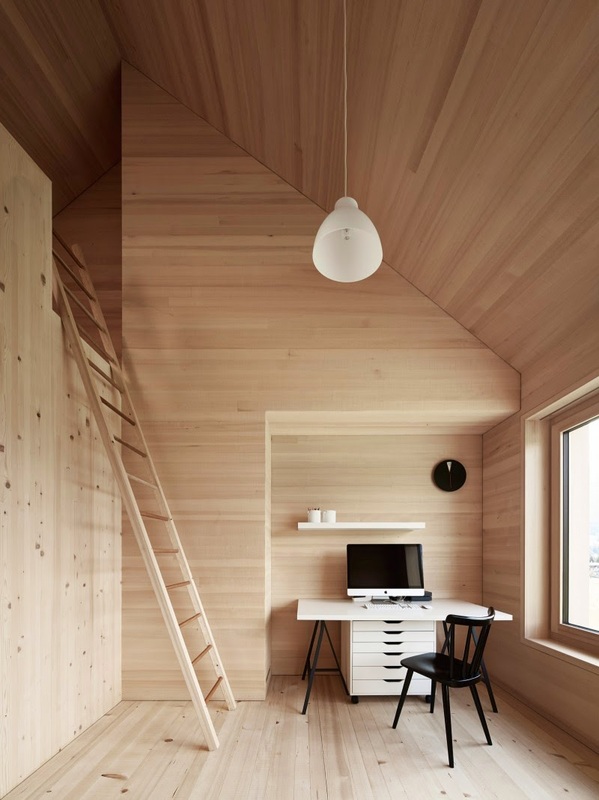 The narrow building exterior is covered with timber rails, while in the minimalist interior, furnishings and floors are made from locally sourced solid spruce, combined with hand-made plaster surfaces. 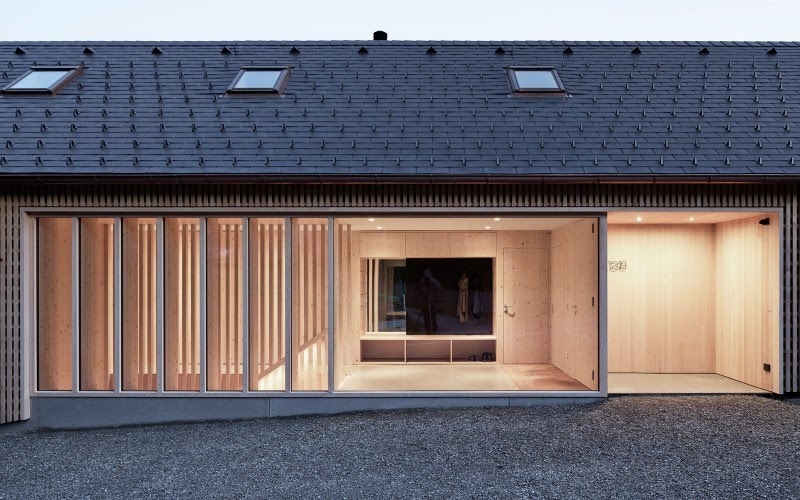 The new house, clamped between a lime tree and a walnut tree, comfortably completes the small hamlet in which it is situated. 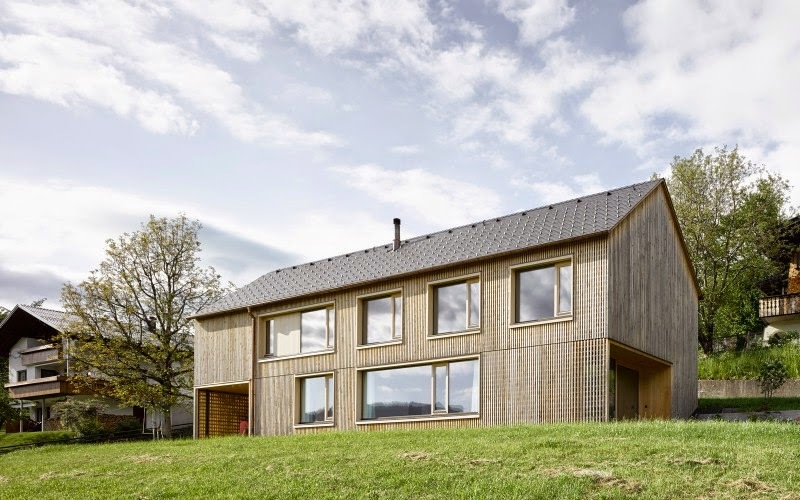 Due to the inclination and the narrow nature of the premises, the clear layering of the building follows the contour lines and makes use of the sloping ground. 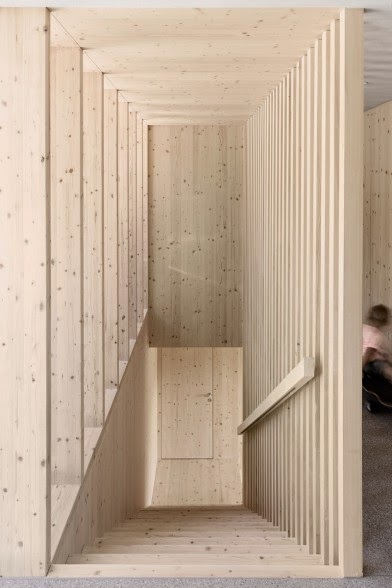 The entrance of the building is located on the first floor, guided by laterally entering light a staircase leads to the ground floor. 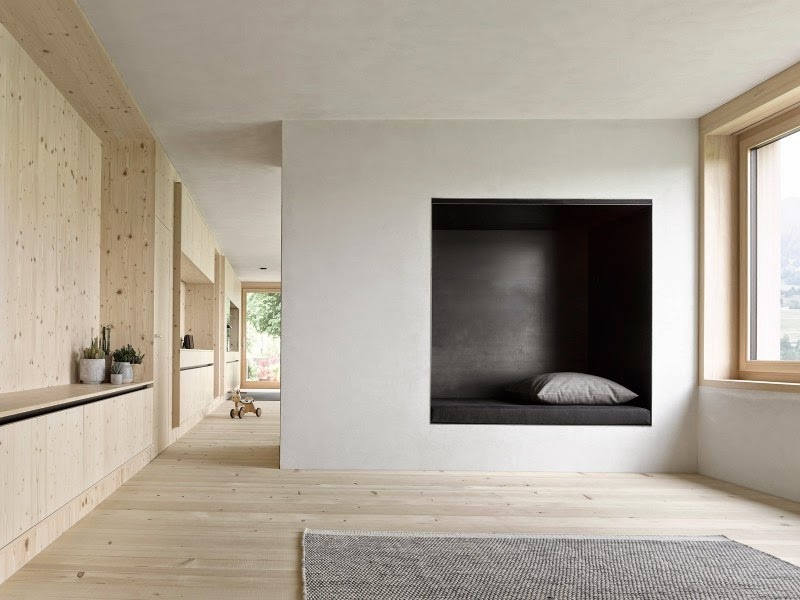 Here, the living area spans across the whole building – eating, cooking and living. Two terraces open up under lime tree towards the east and walnut tree to the west. 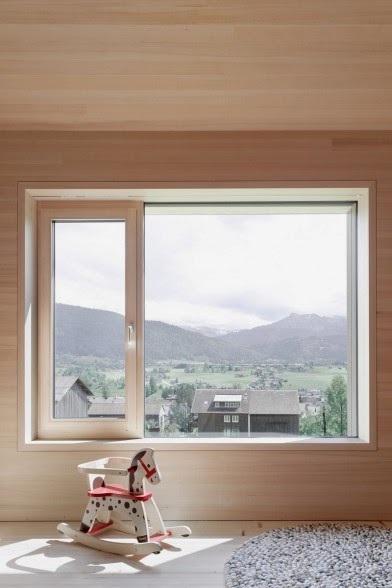 A capacious window with a bench offers a spectacular view of the village beneath and the surrounding mountain scenery. 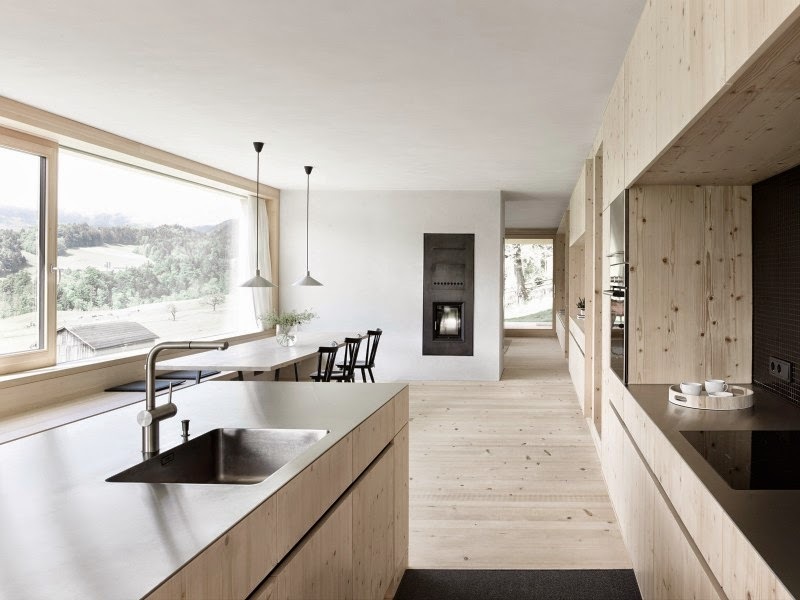 A stove divides the living area in the middle. The efficient wood burning stove functions both as production of hot water as well as heating. 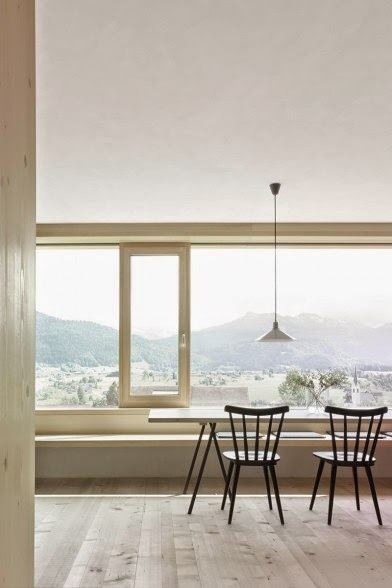 On each floor, an enclosed service zone emphasizes the longitudinal alignment of the house. The walled zone distinguishes the living area from the ancillary rooms. 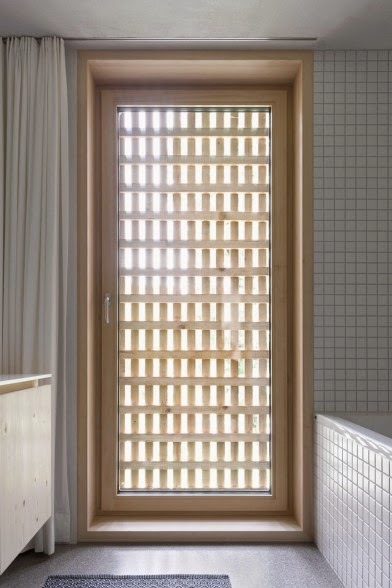 Its spatial depth is visible in niches and relief- like protrusions. 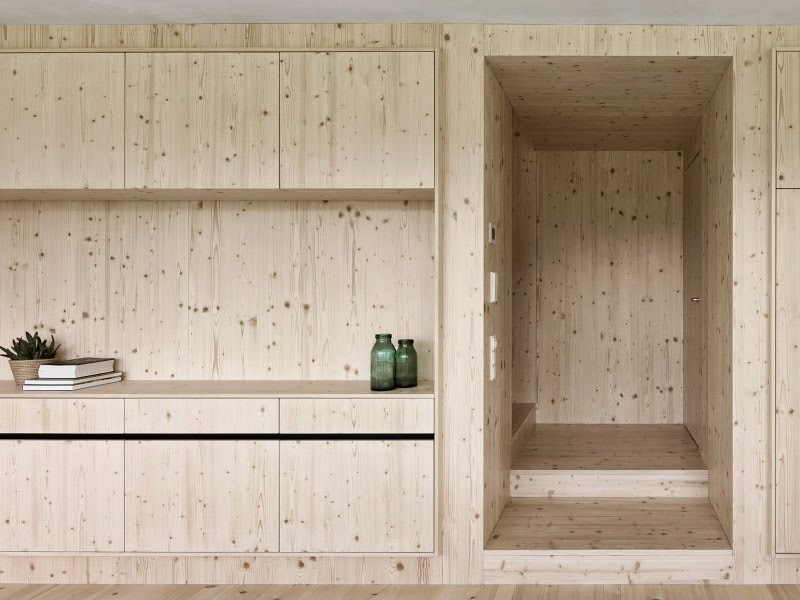 All furnishings and floors made from solid spruce, taken from the woods nearby, these elements alternate with hand-made plaster surfaces, produced on-site from light grey marble powder. Contrary to the spaciousness of the ground floor, the private retreats on the first floor are more densely organized, and a gallery-like extension to the roof, make the small rooms astonishingly generous. 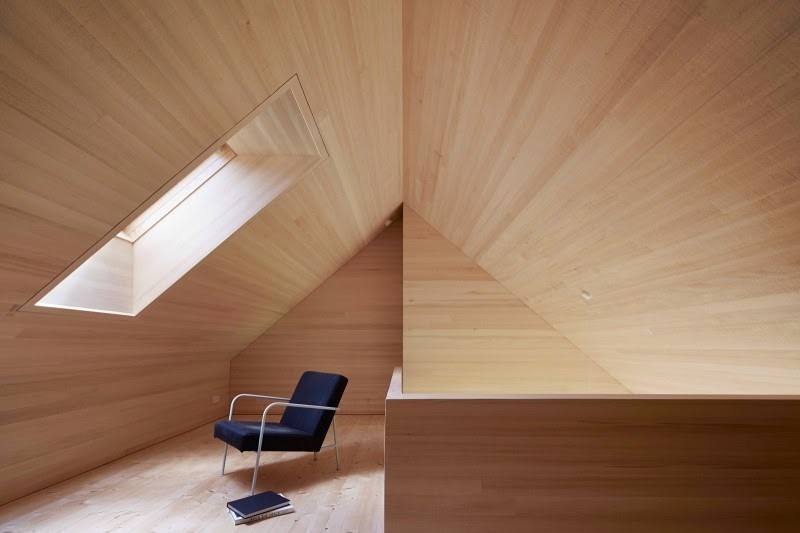 The appearance of the house goes beyond what is merely practical. 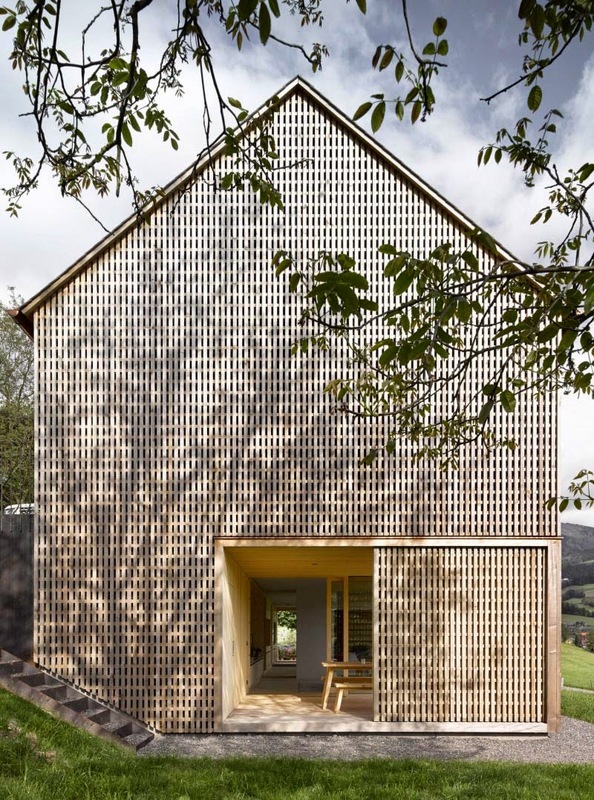 A lattice structure comprising of wooden rails encases the entire building. Although it functions as weather protection, it’s more a dress, carefully woven, both concealing and revealing at the same time. 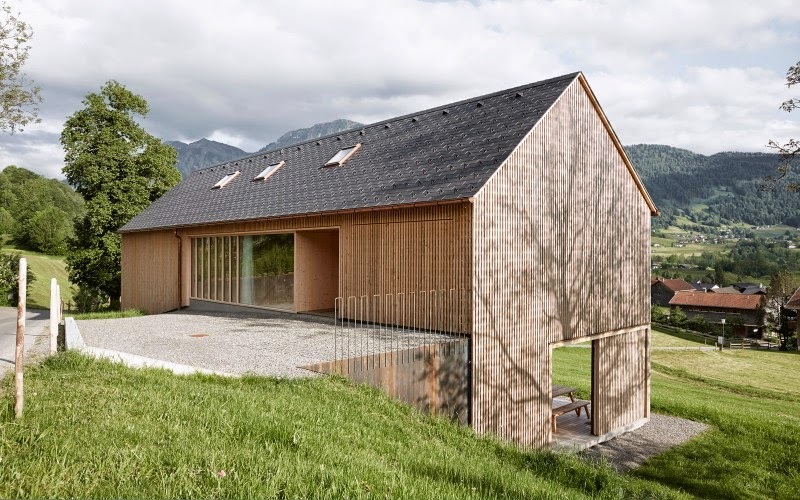 However, because the house is built in the countryside, the decoration is intentionally discreet but does not lose anything by the fact that the house is clearly structured, has a steep roof and structural elements such as roof cantilevers.